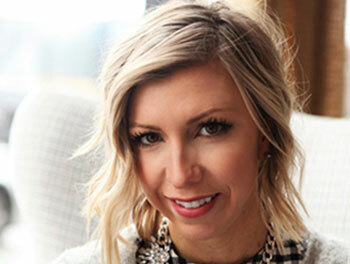 I want to help you fill your wardrobe with easy and versatile pieces. So I am starting a new blog series called “Wardrobe Basics”. 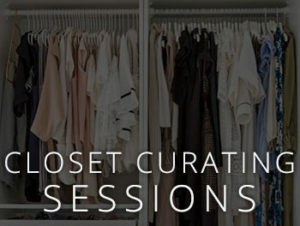 In this series I will feature one wardrobe must and show you several different ways to style it. 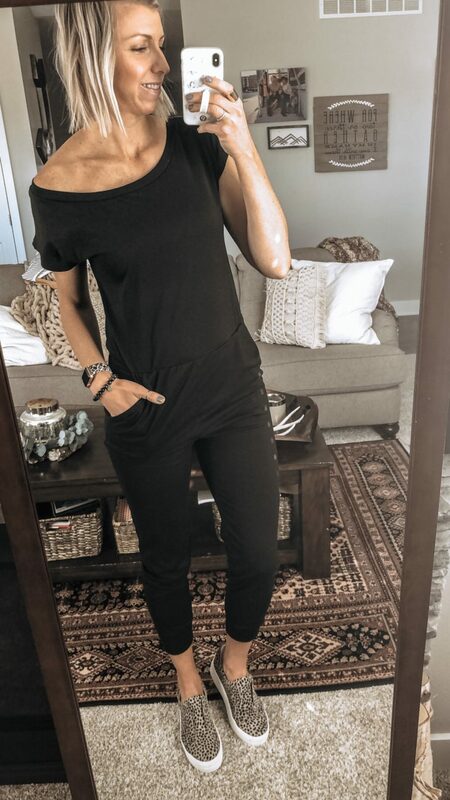 Because having the right basics in your closet will help you cultivate a versatile wardrobe, and will make getting dressed each day a breeze. I love that a basic dress is an all-in-one outfit. Just throw it on with a pair of shoes, maybe a layer, a fun accessory, and you’re out the door. With the arrival of spring, this must have sleeveless, midi dress in an essential to add to your wardrobe. 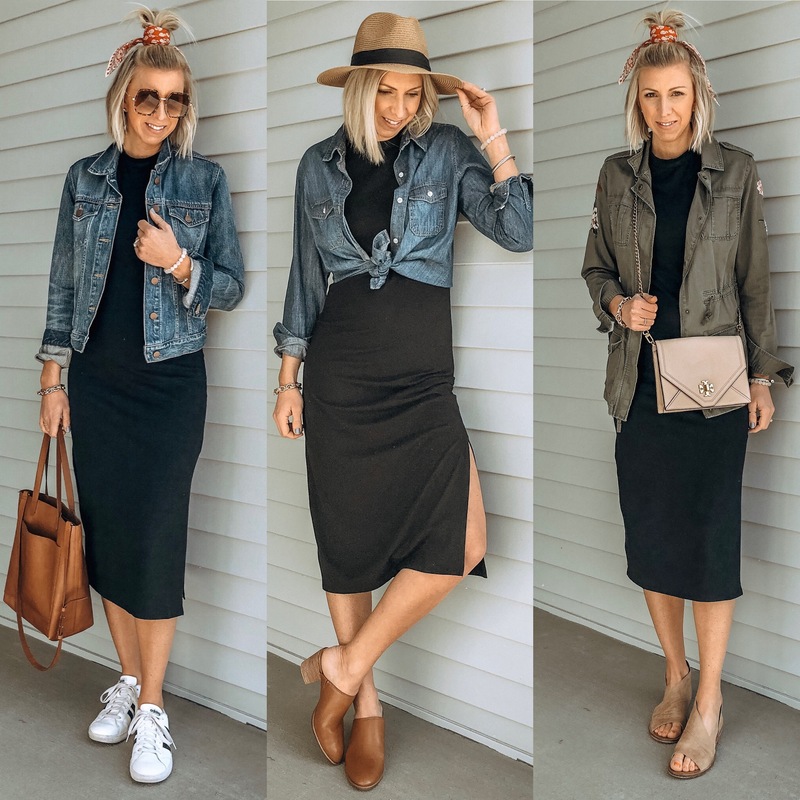 I am sharing 3 different ways to style a basic black midi dress this spring. This sleeveless midi style dress is so flattering, and I love the slit detail on the side. As the weather warms up just add a cute pair of mules or sandals, maybe a hat or sunglasses and your look is complete. I also love that this style dress can be worn as maternity wear… I sized up 1 size to fit my growing bump. It is stretchy and super comfortable to wear throughout pregnancy. If you’re not pregnant, this high neck, body skimming style dress is so sleek and figure flattering. 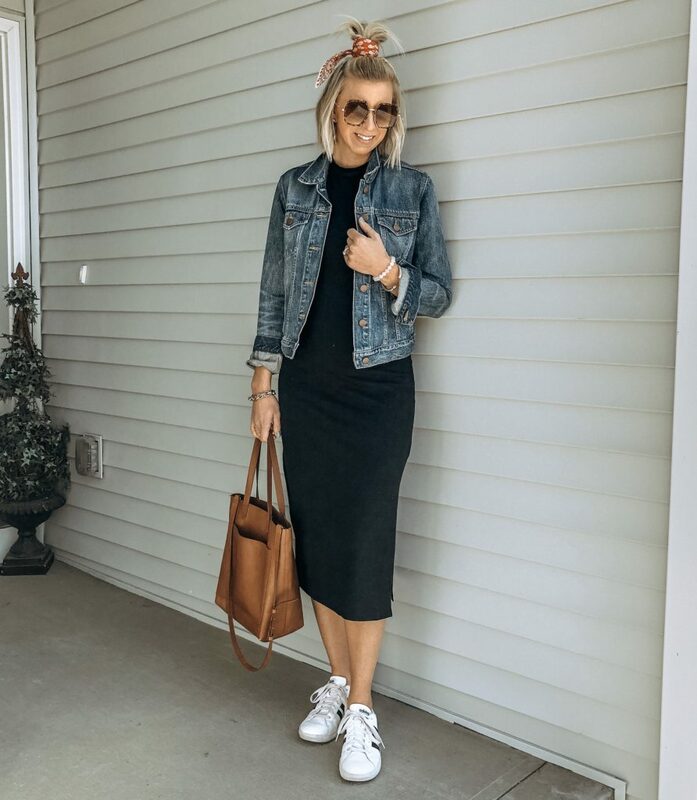 I love dressing down a midi dress with a pair of white sneakers and a denim jacket. You can literally wear this look anywhere and its so comfy and easy. Add some polish with a lady like bag, some sandals, but edge up your look with a structured military jacket. I love the contrast of the super feminine pieces with a casual military jacket. Or you could swap out the military jacket for a leather moto jacket. Perfect for date night, girls night, or a dressier occasion. Add a chambray shirt as an easy layer over this basic black midi dress. I love tying it above the waist for a fun, feminine, and flattering touch. Pair this look with mules or sandals, and a hat. Wear this look to the office, church, or for everyday. That is the beauty of finding the perfect black dress….it can be worn a million different ways. Walk away with confidence & knowledge to re-create your own capsule wardrobe for the next season. How to shop smart with your limited time through my visual templates, checklists, Spring Capsule Ebook w/ linkable shopping options for every piece. Are you following my on Pinterest? I share tons of everyday outfitting inspiration for you to easily implement into your own wardrobe! Let me know what you’re looking forward to wearing this spring in the comments below. Thanks for reading! Note: This article contains affiliate links which means I may make a small commission off the sale of products purchased through my links.